We celebrated the greatest news the world has ever heard last Sunday, the news that Jesus Christ came back from the grave. We continue to celebrate that news, every day. It is the foundation of what we believe, and a solid foundation it is, indeed. For centuries Christians have lived with hope in the midst of suffering, have read His Word and kept His commandments, have gathered with others who believe and given their lives to telling the story, and have even given up their lives to follow Him. But dear readers, we live in a world that is increasingly skeptical of the absolute truth of the gospel, a world that is willing to believe almost anything except that Jesus Christ is God and died for their sins and rose from the dead and is the only way to the Father. 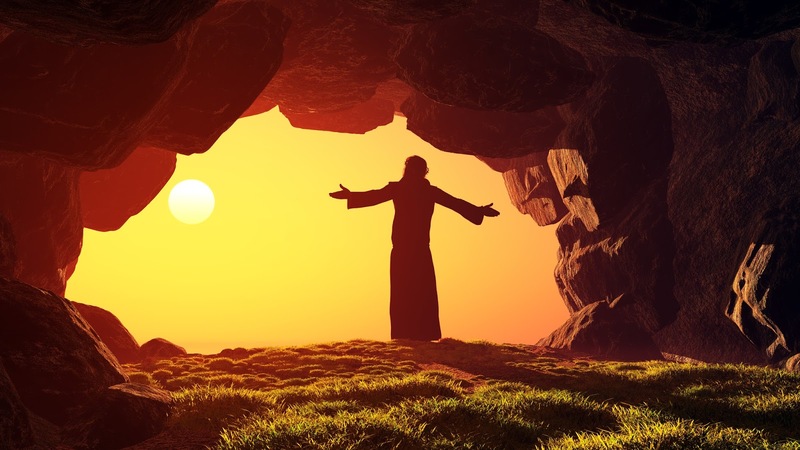 I read a Barna Research poll last year that revealed fully one-third of those who claim to be born-again Christians do not believe that Jesus came back to physical life after He was crucified. What? That’s like saying, “I believe that Michael Jordan is a businessman, but he was never a basketball player.” Saying you believe in Jesus, but not in His physical resurrection is like saying you believe in Christmas but not in Jesus’ birth. Some believe the resurrection of Jesus is no more (maybe less) than a fairy tale. I had a good friend in graduate school who went on to get his Ph.D. in English and teaches at UC-Davis. We had lots of discussions about God and Jesus and the Bible, most of which he just would not believe. When we had our first child, my friend, Steve, sent me a copy of Mother Goose’s Nursery Rhymes and wrote in the margin to Micah that his Dad should read these to him every day. Well, if Jesus is not raised from the dead, then we might as well read Mother Goose for devotions and memorize the rhymes and believe in Humpty Dumpty. Maybe, just maybe, the king’s horses and the king’s men will be able to put him back together again. That could be our only hope, without the resurrection of Jesus Christ. Take a look at Paul’s argument for the resurrection in 1 Corinthians 15, beginning in verse 12. This passage is still being used in some law schools as a classic example of sound reasoning. Paul starts the chapter, however, by delineating four truths that are of first importance. 1. Christ died for our sins. 2. He was buried. No swoon theory where Jesus was later revived in a back alley somewhere and then somehow pulled off the greatest hoax in history. No, he was dead and buried. 3. He was raised on the third day. Without this truth, the first two are meaningless. 4. He appeared to many after His resurrection. Without this truth, the third truth is cast into shadow. His body is gone, but where is He? Jesus Christ is risen, and has become the first fruits of those who die in Him. That means we who believe in Him will also be raised from the dead.